And now, Israel, what does HaShem your G-d ask, require, or beseech of you but, except, rather than… 1) to fear HaShem your G-d, 2) to walk (in obedience) in all His ways (in order to imitate or present Him), and 3) to love Him…. AND 4) to serve HaShem your G-d with your whole heart and your whole being. 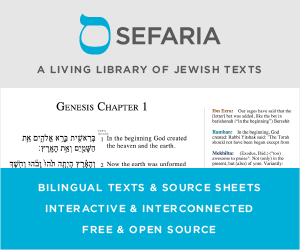 The Gemara (Berachos 34b, Megillah 25a, etc.) understands from this verse that God has one fundamental demand of us: yirat Shamayim (fear of Heaven). I don’t understand this Gemara, because although the Gemara says we are dealing with a single entity, the verse itself seems to specify a whole list of demands. Could it be therefore that the 4 points which I summed up: 1) Yirah, 2) following Torah, 3) Ahavah and 4) Avodah, are four main-points upon which everything which is asked from us by HaShem can be hung upon, and maybe this can even be reduced to one, Yirah, because all the rest come from this one command? Are there any commentaries that explain this? Not the answer you're looking for? Browse other questions tagged commentaries ekev yirat-shamaim . Prayer inclusion because of fear?